It’s The Daily Constitutional Film Festival. And it’s programmed by London Walks Guides and London Walkers. Which is the greatest London movie of them all? The best performance in a London-set film? Your favourite London movie location? As usual, we want to hear from you – send us your favourite London movie nominations to the usual email address, get in touch with us on Twitter @londonwalks or leave a comment at the bottom of this post. @londonwalks. Difficuilt. Italian job : love Mr. Bridger character. Adam adds… Thanks John! The Italian Job with Michael Caine and Noel Coward as Mr Bridger was released in 1969. The memorable minis and the Italian Alpine car chases and the conundrum climax stay fresh in the memory of moviegoers to this day. 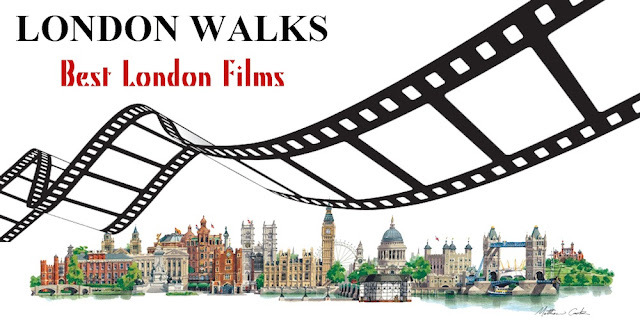 You can also book a private London Film Locations walk by calling London Walks on 020 7624 3978 or emailing london@walks.com. Labels: London on film, Michael Caine, walking tours of London film locations, What's Your Favourite London Film?